Baba Tweedie was extremely obliging today as he slept for about 40 minutes in the morning, and Little Tweedie played with my button collection whilst I sewed. She doesn’t get to do this very often, and she really enjoys doing it, so it’s like a treat for her. It’s a win/win situation because she becomes really engrossed in it, making up all sorts of scenarios about the buttons and who they are and what they are doing, which enables me to sew without being mithered by her! Baba Tweedie had a proper sleep in the afternoon when Little Tweedie had gone to nursery, which gave me about an hour and a half of total peace! Bliss! 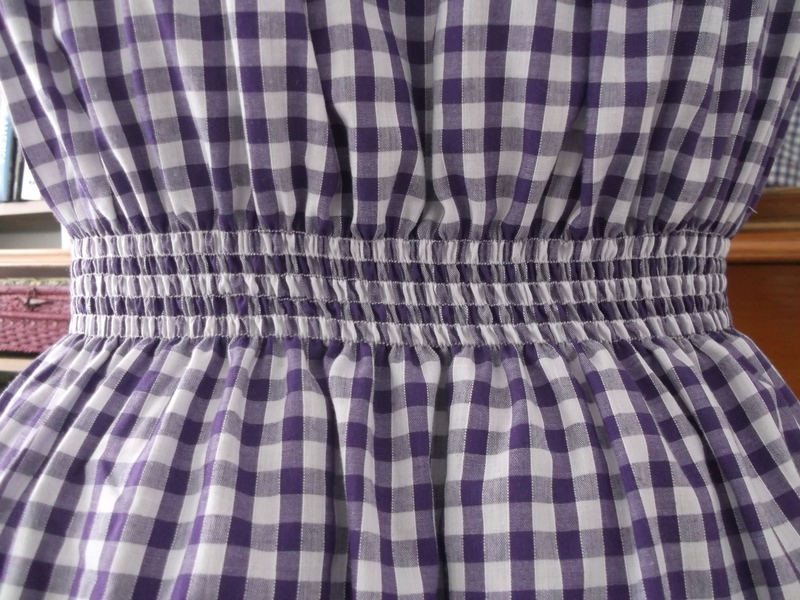 I sewed the facings to the Gertie Shirtwaist dress and slipstitched the inner yoke in place. The end is nigh! 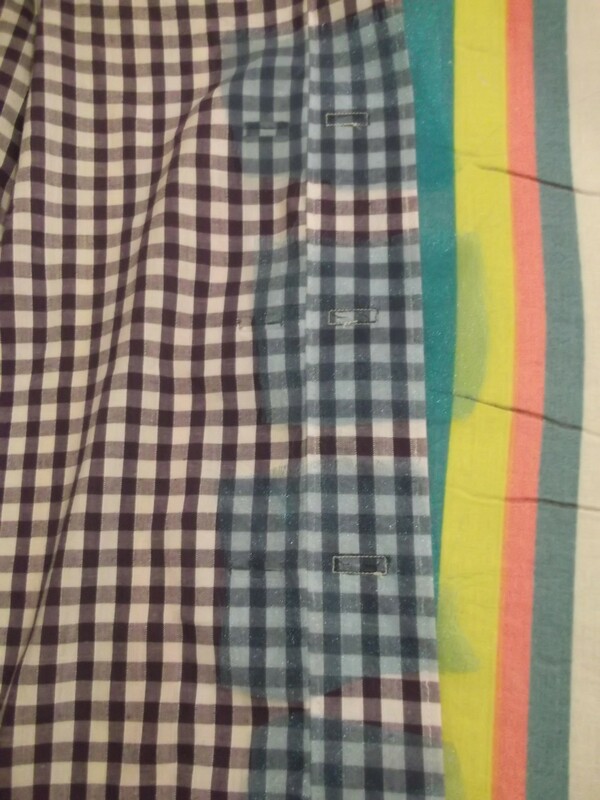 Today my two hours of sewing was covered by the new course I’ve enrolled on. 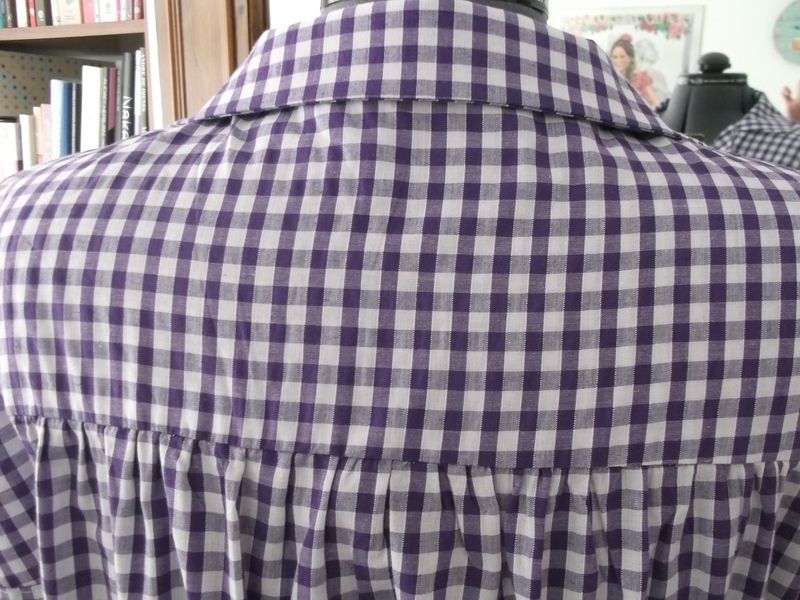 For the third year running I’m taking a sewing class to keep building my knowledge on pattern cutting. 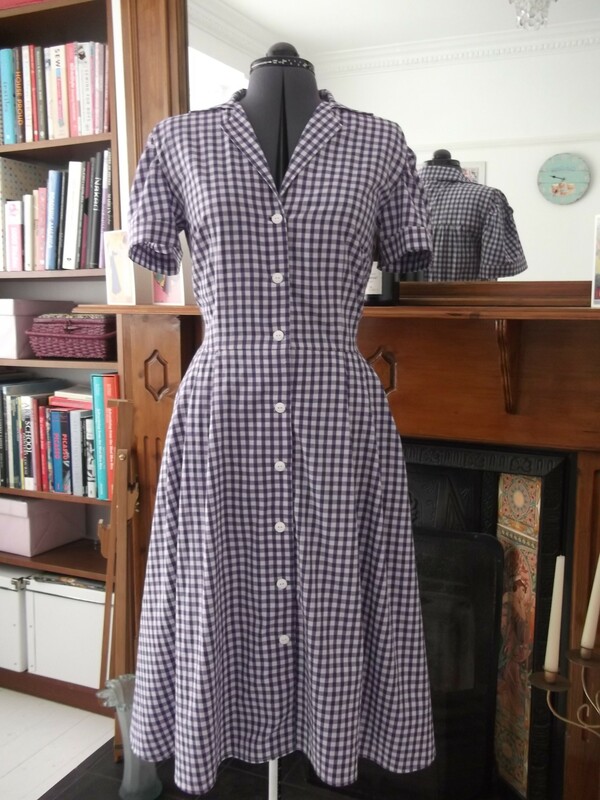 I’ve decided that seeing as my body shape has changed since my second pregnancy, now is not a good time to continue with my Vertigo dress, as I had already started sewing it up and it would be too small at the moment. Instead I spent the time drafting a new block which will fit me for now and I’m plotting some design ideas for a new self-drafted dress. I managed half an hour of sewing this morning whilst Baba Tweedie was napping, but it meant leaving Little Tweedie watching TV in the next room during that time. I feel like a terrible parent, but I guess half an hour of watching cBeebies on her own isn’t going to do any harm, and I could hear her if she needed me. Still, I’d rather not make a habit of it! I got the rest of my sewing done in the evening. 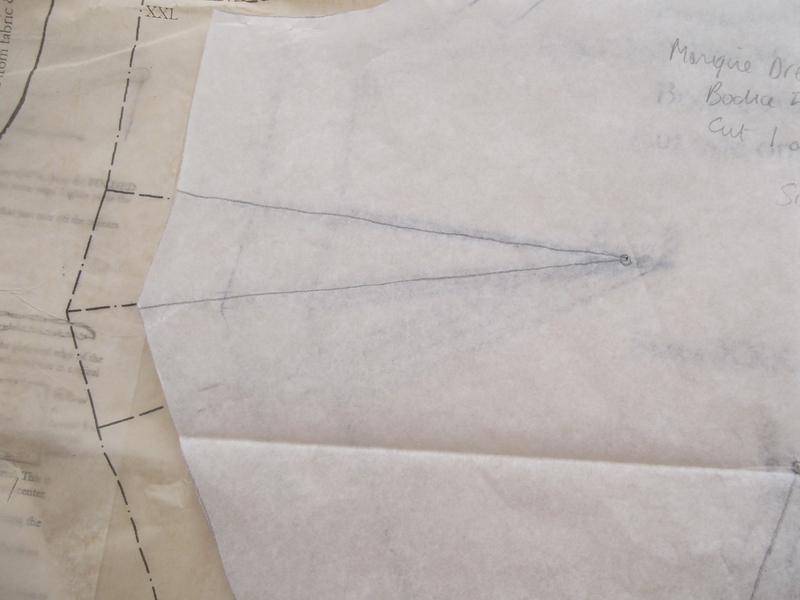 This time was spent making the windows for the bound buttonholes in the bodice and skirt front facings. I didn’t have any white organza for the job, so just used some of what I had – this bright blue silk organza which I used for my Colette Crepe dress when I did Gertie’s Crepe sewalong in January 2011 – something tells me Gertie must be a fan of silk organza! 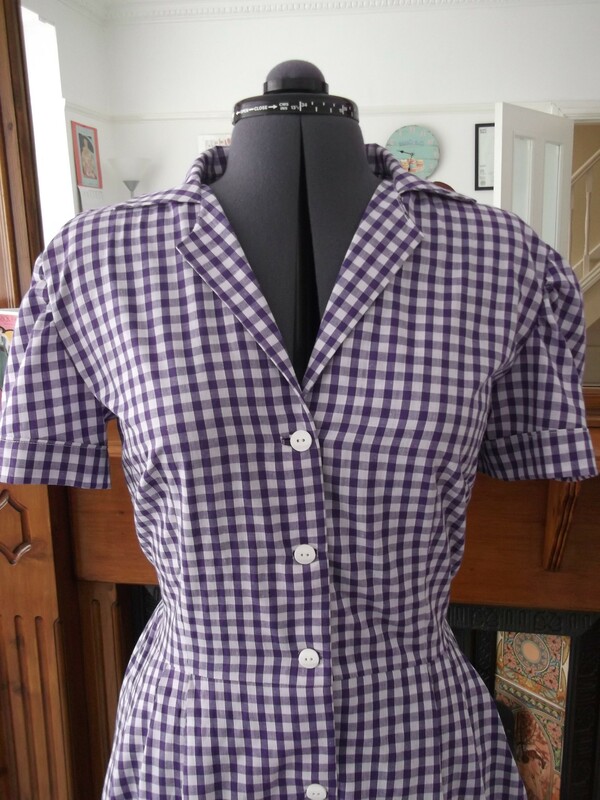 This is not the best colour for my Shirtwaist dress, but seeing as it will be mostly hidden away I just used it anyway! The facing windows, now slipstitched to the back of the bound buttonholes. 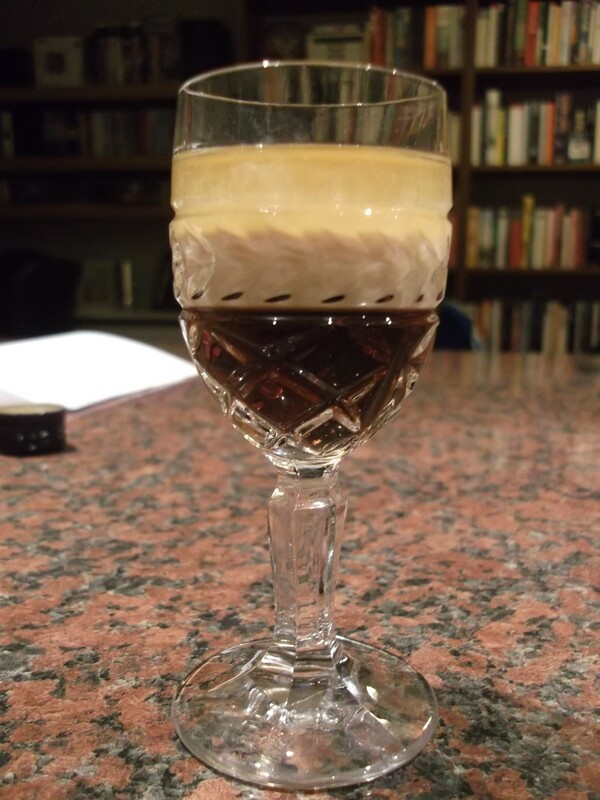 Place the coffee liqueur in a shot glass, then float the Irish cream on top using a spoon. Add the Grand Marnier in the same way, making three layers in all. What do you think? I posted a front view photo on twitter and got so much love for this dress! But do you want to know a secret? I don’t love it as much as everyone else appears to! I mean, it’s fine, but nothing special! It is super-duper-comfortable though, and good for breastfeeding, so it will definitely get worn a lot this summer. Place the ice, rum, lime juice and grenadine in the lower part of the shaker. Fit the upper part of the shaker and shake vigorously for 8 – 10 seconds. 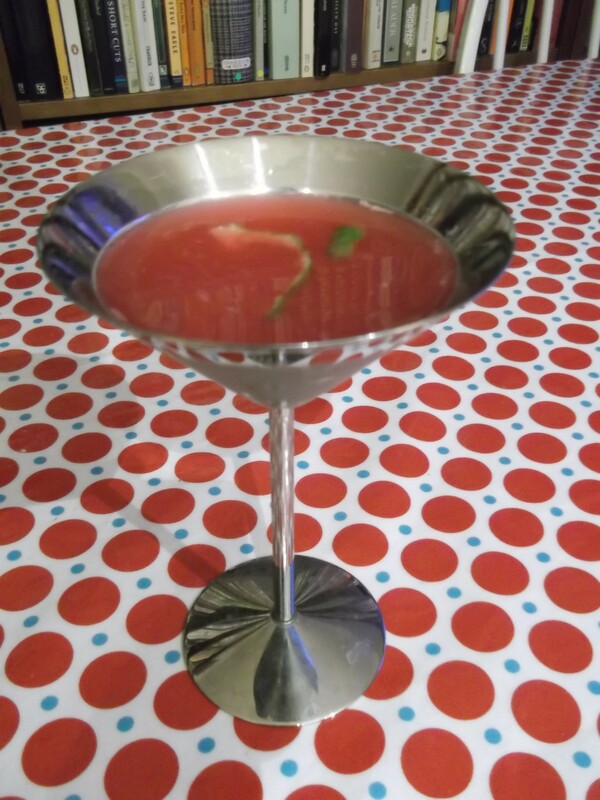 Strain into a martini glass using a cocktail strainer. Cut the strip of lime peel with a paring knife. Over the glass, pinch it between the fingers to release the oils, then drop it into the cocktail and serve immediately. I only sewed for one hour today due to friends coming to visit, but during that time I made pretty swift progress with my Sew Serendipity Monique dress. It certainly feels good to whip something up in a jiffy after slaving away over that shirtdress! Place 5 – 6 ice cubes and all the ingredients except the cola and lemon slice in the lower part of the shaker. Fit the upper part of the shaker and shake vigorously for 8 – 10 seconds. 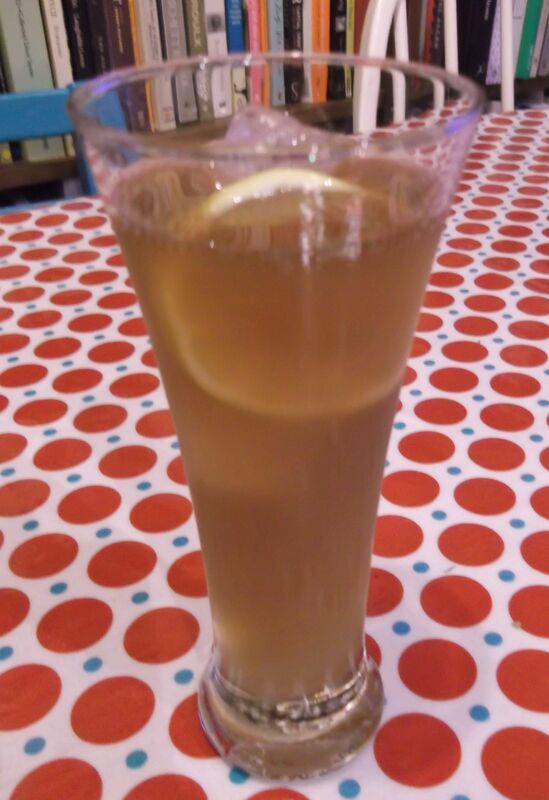 Place 3 – 4 ice cubes and the cola in a highball glass. Slowly add the contents of the shaker, pouring them through a cocktail strainer so they form graduated layers with the cola. Add the lemon slice and serve. 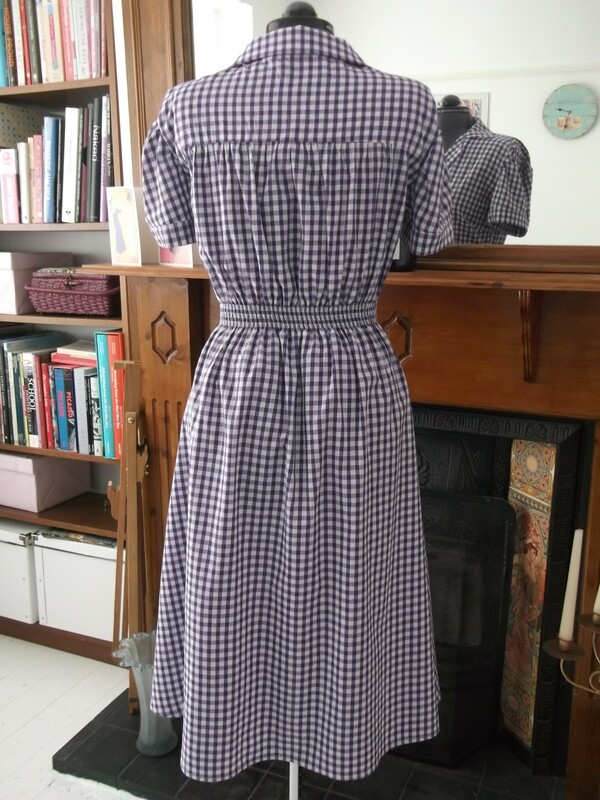 I sewed for three hours today to make up for yesterday’s shorter slot, mainly during the day when Mr Tweedie was around to take care of the children (I’m still getting used to this – talking about ‘the children’ or ‘the kids’!!!). I pretty much finished the Monique dress, so I envisage completing it tomorrow. I had a slight hiccup with its construction – I had traced the darts incorrectly – so I had to unpick and restitch. I only traced half of the dart by accident!!! Oops. Aside from that the dress has come together gratifyingly quickly and easily. 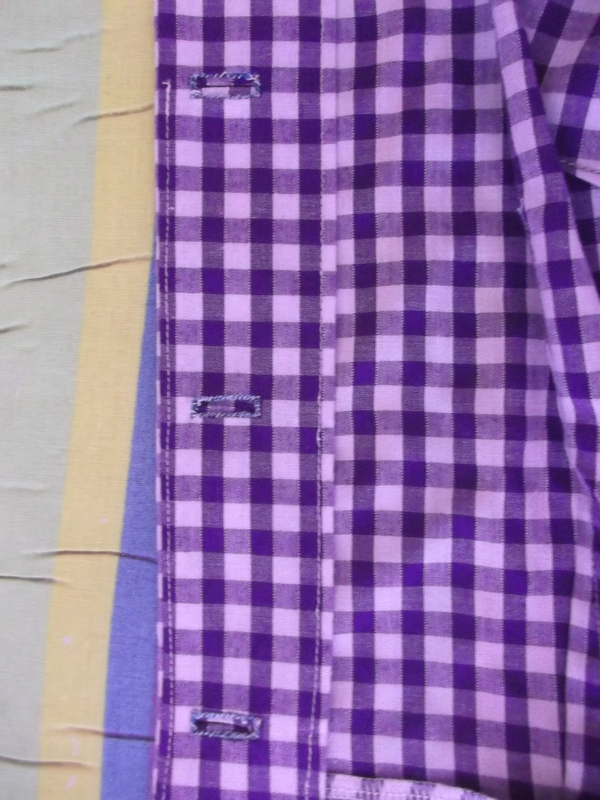 Can’t wait to post photos of it – I just LOVE the fabrics! 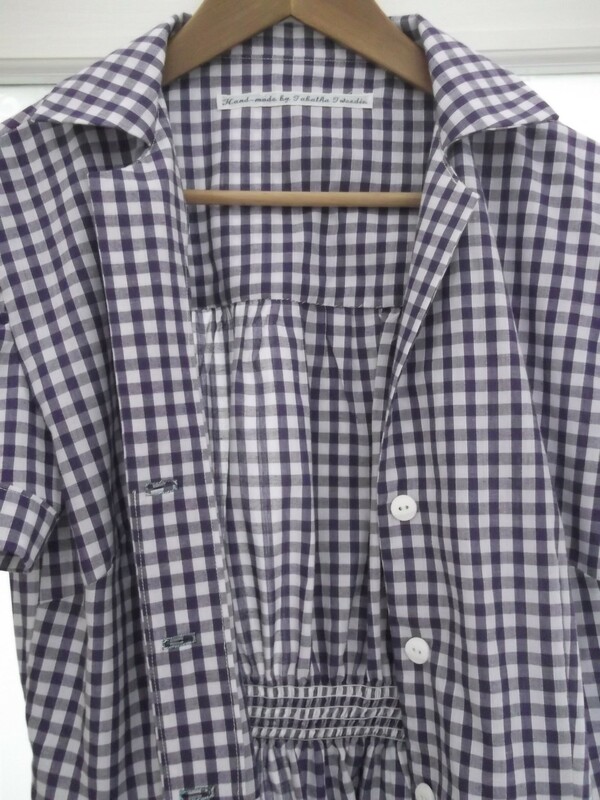 The dress looks really lovely, and what great details the buttonholes and shirring are. Hopefully you’ll grow to love it and wear it loads this summer. Hi Kerry and thanks for commenting! I’m sure it will get a lot of wear and it was a great learning experience too! Thanks Jane. I’m sure it will get a lot of wear, it is so practical! Oh, I love the dress! I’ve been eyeing it off in Gertie’s book but haven’t actually seen anyone blog about one they’ve made. I think I will give it a go in Spring (we’re in the middle of Autumn now). Thanks Sonja! I’ve worn it now and it’s very comfortable and practical – except in the wind – the full skirt and windy weather are not a good combination! But it was lovely to wear and the girls in my sewing class all liked it too, so I think it’s going to get worn a lot this summer!